Becoming a homeowner is both exciting and tedious. While nothing compares to the feeling of finally having a place to call your own, you also need to keep up with the responsibilities of keeping it in good condition. One of the most important things to invest on for your home is waterproofing, and you can do it with the help of waterproofing companies. 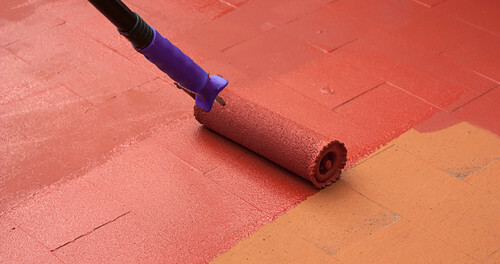 So, how exactly can waterproofing benefit your home? Your basement may be the least used part of your home, but it still requires attention because it has the most potential to take in water. Waterproofing your basement with the help of waterproofing companies will keep floodwater out of your home, especially if you live in an area that’s prone to flooding. This will help you protect your property from damages and keep your belongings safe. A lot of homeowners don’t realize this, but waterproofing your home actually helps you lower down electricity costs significantly. Since waterproofing seals leaks around your house, you can keep the cold air out and keep the warm air in, which helps you save energy. Any wet surface makes for the perfect breeding ground for mold and mildew, which in time will spread all over your house and produce a foul smell that’s also a health hazard to your family. Waterproofing your home with the help of waterproofing companies keep moisture out of your property, which also eliminates the potential of mold and mildew growth that can easily lead to skin allergies, allergic rhinitis, asthma, fever and colds. This is especially important when you have kids at home who can easily contract these health conditions. If you plan to sell your house in the future, you would want to get the best price for it, and you can only guarantee that if you keep your home in good condition. Waterproofing helps maintain the pristine condition of your property by protecting it from water damage. Most homebuyers are also more critical on the details of a home and would likely avoid homes that don’t have waterproofing. Real estate experts say that a home with no traces of water leaks or damage is valued more on the market and are likely to sell faster than those with foul smells and traces of mold. Finally, nothing beats the peace of mind that you can enjoy knowing that your home is safe and sound whenever it rains. If you tried drying books, mopping wet floors and throwing away damaged things because of flooding, you know how important it is to protect your home with the help of waterproofing companies. Investing in waterproofing also helps you save a significant amount of money because you don’t have to deal with leaks and water damages at all. You can put your money on other renovations that will make your home a better place to live in.